In order to sincerely reward its long-time loyal supporters, Leawo Software generously throws a big bomb to give a special 3 Day Giveaway for its proudest Leawo MKV Converter on its official website. And simultaneously, a remarkable 50% discount on Leawo’s other lineup programs: Video Converter Ultimate (Win & Mac), Blu-ray Copy (Win & Mac) is available for all video fans. 1. The best-reviewed product from Leawo Software – Leawo MKV Converter is chosen as the special giveaway, so all users win a chance to get this all-powerful software for free from now to March 17. 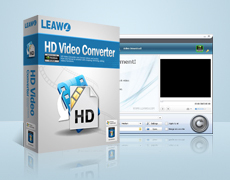 Leawo MKV Converter is an all-in-one HD Video Converter available for any HD format conversions (AVCHD, MOD, MTS, M2TS, MKV, etc), so it lets you make the most of MKV videos by converting MKV video to any popular video formats and 3D formats, for example, convert MKV to AVI, MKV to MP4, MKV to MPG, MKV to MPEG, MKV to WMV, MKV to DVD, etc. Equiped with ingenious video editting features, powerful conversion settings, as well as marvellous 3D conversion, This MKV Converter will greatly enhance your multimedia life not only iPod, iPhone 5, PS4, Apple TV, Windows Mobile, Android Mobile, HTC One, Samsung Galaxy S3, 3D TVs, 3D Players and more media devices. 2. Other four programs like Video Converter Ultimate (Win & Mac), Blu-ray Copy (Win & Mac) can even been saved as much as 50% off from March 15 to March 17, 2013, with life-long technical support and free upgrades service. Video Converter Ultimate enables you to convert videos and audios, rip DVDs to other media formats for any using purposes, burn all media files to DVDs, as well as download and play online videos with an accelerated speed. Leawo Blu-ray Copy is a one-click smart tool for Blu-ray HD video fans to copy Blu-ray disc and backup Blu-ray on hard disk or DVD discs. It incorporates advanced replication technology that allows you to copy Blu ray disc from various origins to the formats of DVD-5/9, file folder, ISO image and even 1:1 disc duplication for storage. It could also copy BD50 to BD25 or DVD-9 to DVD-5 without quality loss. How to Take Part in this Special Offer Event? 1. To get the giveaway product, users are required to provide name and Email to get the registration code via Email in Leawo’s official webpage. Here what should be mentioned is that free update and technical support are invalid with the giveaway product.